Question of the Week: – What polish is currently on your toes? Answer: None! I’m too scared of my toenails going yellow like my fingernails have to polish them outside of Summer time sandal-wearing! 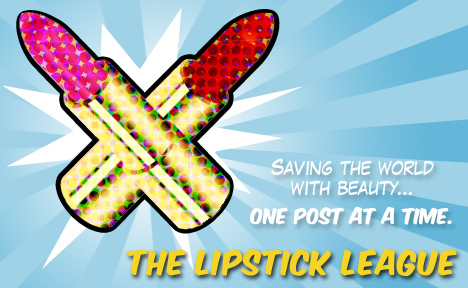 Lipglossiping – celebrates World Porridge Day with some oaty-goodness! Pink Sith – is drooling over her newest Armani Eyes To Kill Intense Shadow #3 in Purpura. Is it Taupe or Purple or both? You decide! Prime Beauty – gives us a preview of bareMinerals limited edition eye shadow palette, The Cocktail Hour. Make mine a double! Phyrra – tells you how to organize before they rise, by showing you the Meow Cosmetics Zombie Apocalypse collection! Vampy Varnish – If you love glitter, you might love these colors from Deborah Lippmann for holiday 2011! we heart this – you SO need to take the new lip products from MAC Styledriven for a test drive. Clumps of Mascara – Sally Hansen recently released a stunning collection of jewel toned polishes. You pretty much need them all. Really. Gouldylox Reviews – My new obsession is the dry shampoo from UNITE. It’s not white, you can put it everywhere and it works better than the others I’ve tried. How’s that for an endorsement?